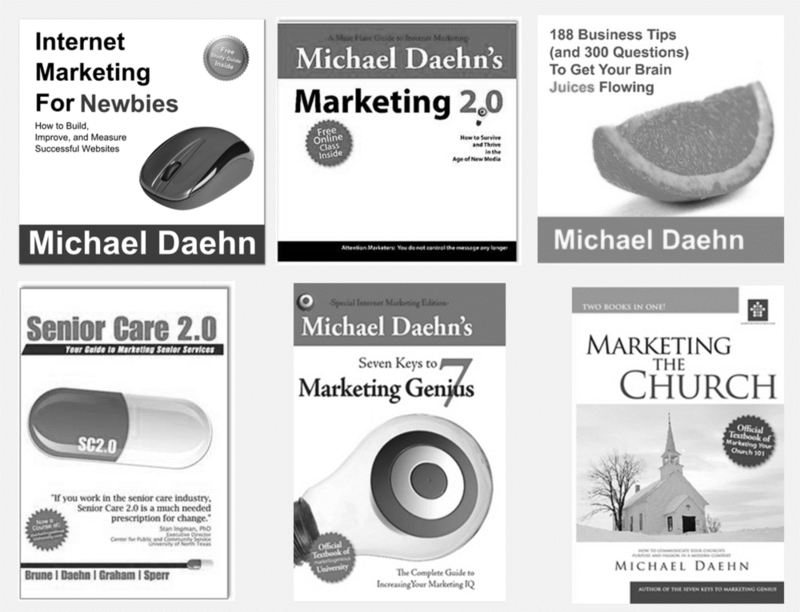 All of my books are now available as free downloads on the Michael Daehn website. If you would like to contribute before or after reading the eBook version, you can click on the eBook link that contains a price. Printed copies are also available for purchase. So why not take advantage and start reading right now? I just published another book. How am I churning these out so quickly? Well I have been writing and blogging for a few years and have a ton of content. I just decided to get off the couch and get it organized and formatted for a book or two. This book is unlike any other I have written. It started as a blog to boost your business thinking and contains a few tricks and tips I have learned over the years. I call this a bathroom book. It is filled with quick, easy to read entries that don't take a lot of time or committment. Please let me know what you think in the comments. This book contains 188 tips and over 300 questions to help spur your business thinking and get your brain juices flowing. Does a listing on Amazon Make You a Real Author? Have you ever published a book? What did you use to do it? Are you on Amazon? Please share in the comments. I worked on this book for over 2 years and had some issues getting it published. I finally got a copy published and of course you can read it for free if you like. Your feedback is appreciated. This unique book provides time proven marketing strategies with analysis, commentary and application by experts in the field of senior living and care. Senior Care 2.0 is your complete guide to marketing senior care services today. Learn how to use the new tools of communication to market your product. Blogs, ezines, aggregators, mashups, social networks, internet video, and tagging are a few of the areas covered in this book on Internet Marketing. Marketing 2.0 goes beyond explaining new marketing tools and helps you understand the psychology behind why these tools are working. Use this book and learn to thrive in the 2.0 world, or watch your business disappear into obscurity.